You can become a champion of the Watershed! Become a member of LGROW today. 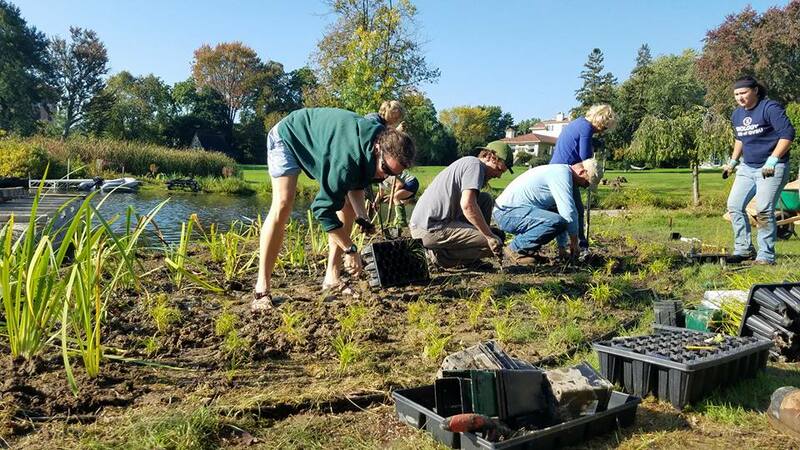 Volunteers planted approximately 4,365 native plants along ~380 linear feet of shoreline along Fisk Lake and Coldbrook Creek. These native plants can now reclaim the soil and assist in the filtration and infiltration of stormwater. These plants will control erosion of the soil, filter pollutants, protect fish, reduce flooding, and provide suitable wildlife habitat. The Grand River Revitalization & Rapids Restoration Project is an innovative plan to restore the "Rapids" back into the Grand (River). October 25, 2016 Wendy Ogilvie, GVMC - LGROW, joined Matt Chapman, GR Whitewater, and Jay Steffen, City of Grand Rapids to present the information at the Rockford Brewing Company. This presentation showcased the historical uses of the Grand River, the complexities of the project as well as current updates, and the environmental, economic, and social benefits associated. 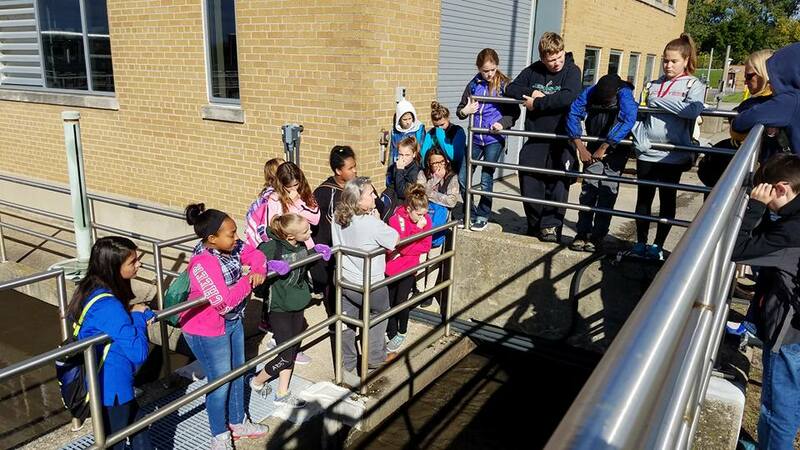 Pinewood Elementary School, Jenison - Mrs. Barr's sixth grade class got an up close look at a couple of the green infrastructure practices in Grand Rapids in preparation for their current project, the restoration of Maplewood Lake in Jenison. The students are competing for a grant from Tom's of Maine that will fund their research and the equipment needed for water quality testing. The Office of the Great Lakes recently released the final part of Michigan's Water Strategy, a 30-year vision for ensuring Michigan's water resources support healthy ecosystems, residents, communities and economies. Ensure safe drinking water by implementing reliable water infrastructure systems to provide high-quality drinking water and optimal treatment of our sewer and storm water. Achieve a 40% phosphorus reduction in the western Lake Erie basin and therefore reducing harmful algae blooms and improving water quality and ecosystem health. Prevent the introduction of new aquatic invasive species and control established populations making restoration of the natural ecosystems possible. Support investments in commercial and recreational harbors for boaters, anglers, residents, and businesses, supporting Michigan's community and economic development by enhancing existing markets and creating new ones. 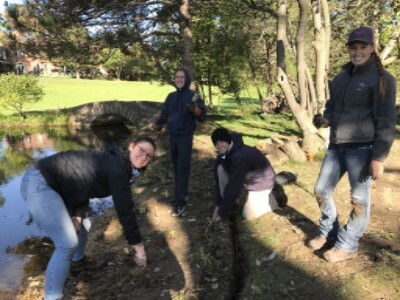 Develop and implement a water trails system that will spur economic development, increase access to natural resources, and benefit local communities. Every Fall the Monarch butterfly begin their migration to Mexico. Led by instinct alone they travel thousands of miles South. Not much is known about the annual migration of the Monarch, for instance, how far they travel in a day, or if they intentionally migrate in groups or if it just happens. You can assist in further research by reporting your sightings and learning more about the conservation of Monarchs and their only food source the Milkweed. Click the map to view this years migration and to report your sightings. 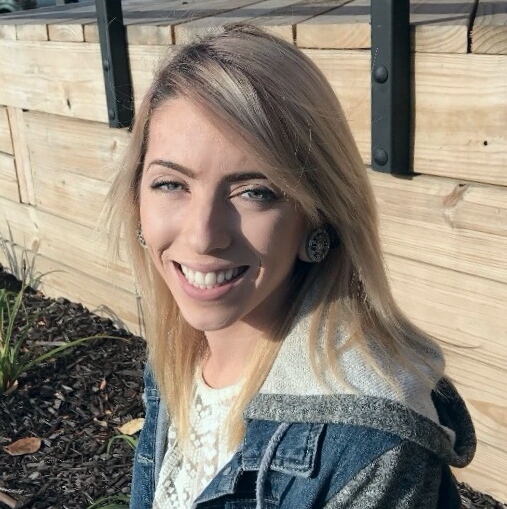 Rachel is currently interning with LGROW as their social media/water quality consultant. She graduated from Western Michigan University in spring 2016 with a Bachelor's Degree in Biology and Environmental Science. She is passionate about wildlife and natural resource conservation and educating today's youth to become the environmental stewards of tomorrow. Copyright © 2016 Grand Valley Metropolitan Council and LGROW, All rights reserved.